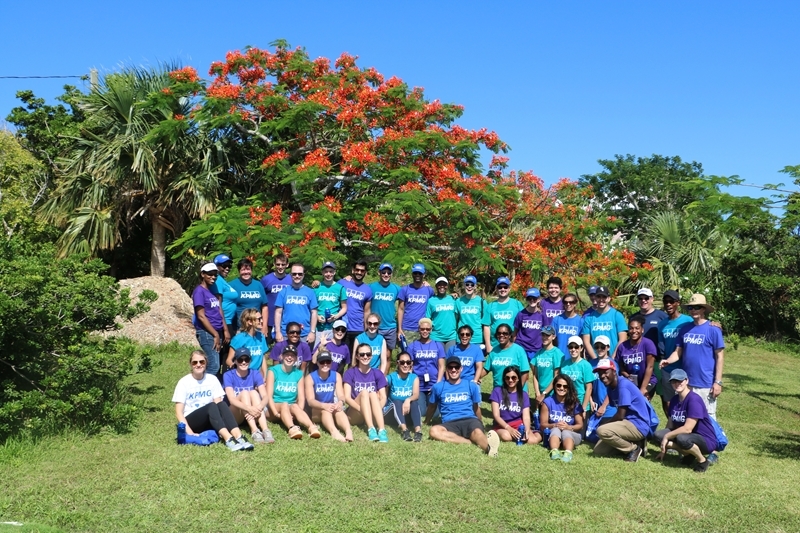 This year, KPMG supported The Bermuda National Trust’s historic property, Verdmont, and The Bermuda Zoological Society’s “Living Classroom” on Trunk Island. At Verdmont, two teams focused on culling invasive plants, clearing debris and beautifying the landscape. Inside the historic property, a third team cleaned, polished and refreshed the museum. A further two landscaping teams cleared vegetation at Trunk and Crow islands in Harrington Sound. In addition, staff completed general cleaning of the education building and a dedicated group prepared and installed pre-fabricated igloos for longtail nesting. President of the Bermuda Zoological Society [BZS], Colin Brown said, “We could not do this project without help, whether it be financially or in the giving of time. We are extremely grateful to KPMG for their long-term assistance of the BZS and choosing Trunk Island as part of their charitable day of giving”. 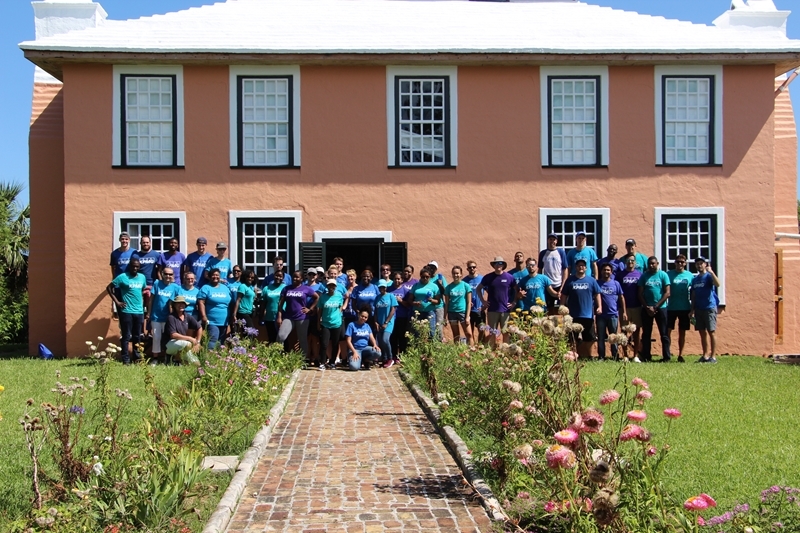 Lawrence Doughty, Conservation Officer for the Bermuda National Trust, happily welcomed KPMG’s assistance: “KPMG staff were an amazing help to us at Verdmont. They helped to clear the grounds and gardens of pest plants and trees – no small task considering the heat. “They persisted and reopened woodland paths and cleared the orchard of overgrowth. The gardens look so much better! 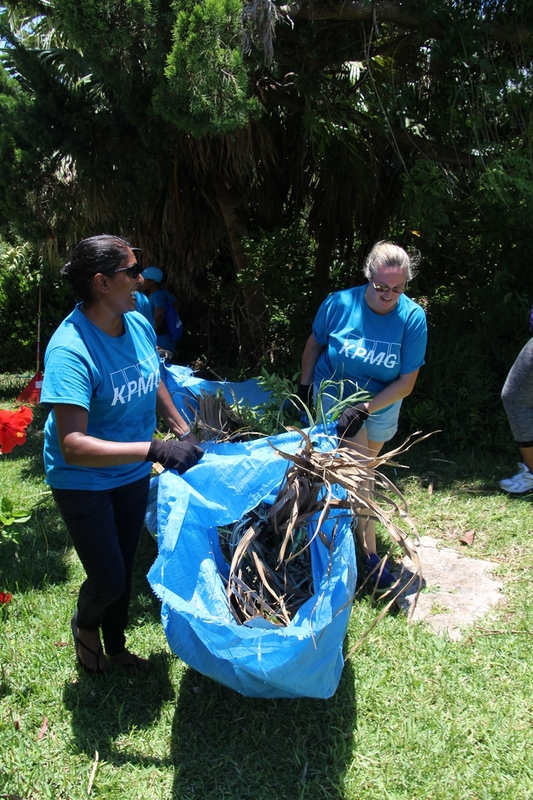 On behalf of the Bermuda National Trust, I thank KPMG and its staff for their help as part of ‘Make a Difference Day’”. Joining the KPMG teams at each location, KPMG’s adopted school, Dellwood Middle School students had the opportunity to take an in-depth educational tour of Verdmont and learned about the conservation efforts that take place on Trunk Island. Sam Mawoyo, KPMG Advisory Senior and organiser of the event said, “KPMG are proud to have accomplished another successful Make a Difference Day. We thank the Bermuda Zoological Society and the Bermuda National Trust for allowing our teams to positively contribute to Bermuda. 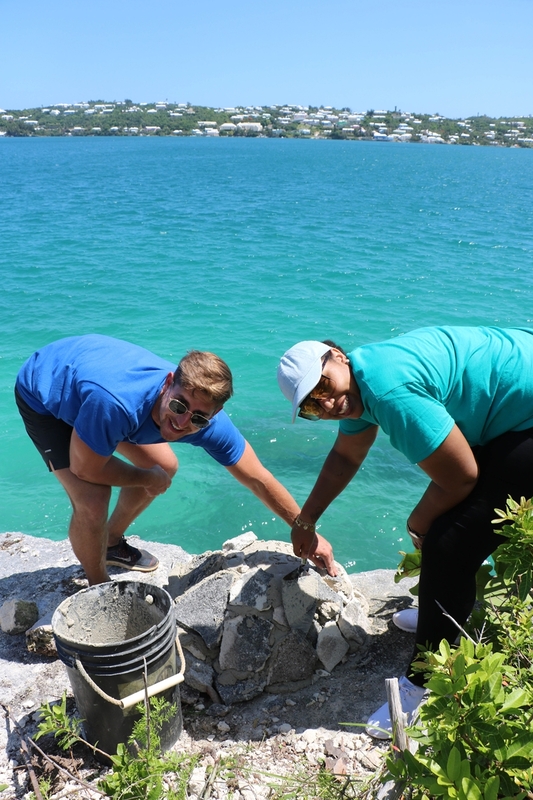 The company said, “Along with students from Dellwood, our staff members enjoyed learning about the ecological and educational importance of Trunk Island and Verdmont Museum whilst lending their time, skills and energy to the projects.